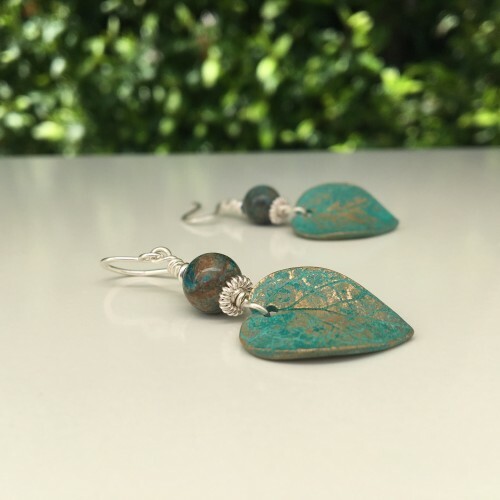 An elegant and classic pair of bronze leaf earrings. 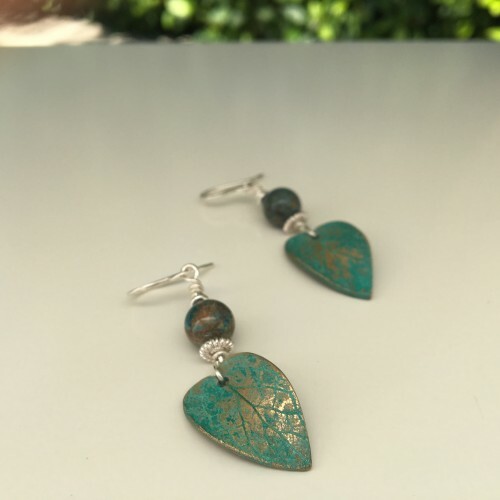 Leaves were cast in bronze from a real leaf and layered with a popping turquoise patina, which was then sanded back to expose the rich and warm bronze colour. The leaf is slightly curved and gives this pair a very natural look. The leaves measure approximately 2.2cm long and 1.4cm at their widest point. The pair is adorned with a multicoloured rainbow calsilica bead seated on a spiraled sterling silver spacer and topped with a lovely little sterling silver bead. 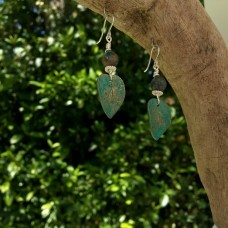 With ear wire these dangles measure approximately 5cm long.